Courtesy of Realty One Group Synergy, Angel&Pat Hernandez. This Whittier Gem has amazing Curb Appeal! Your new home features 3 bedrooms, 2 bathrooms, a large updated kitchen with Granite Countertops, a large living room with a lovely fireplace, a separate Dining area, and a good size master with an en-suite bathroom! Other features include Central AC/Heat, beautiful laminate wood floors, and recessed lighting! The home features 1,477 SQFT of living space and a lot that measures 7,375 SQFT including an attached 2 car garage, sitting on a peaceful cul-de-sac with impressive mountain views. There are also many amenities nearby including schools, supermarkets, hospitals and freeways. We hope you love this home! 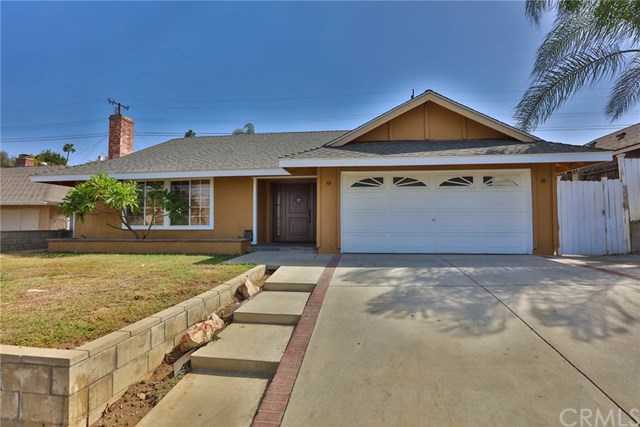 Please, send me more information on this property: MLS# PW18283391 – $579,900 – 738 Caraway Drive, Whittier, CA 90601.